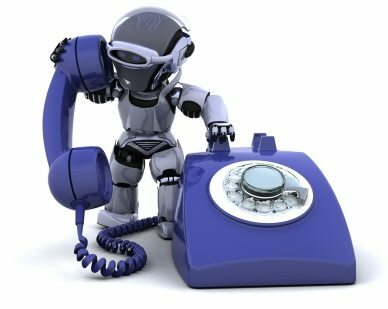 Robocalls from automated calling systems are illegal in the U.S. unless the recipient agrees to receive the calls. But telephone spammers are using caller ID spoofing technology and other means to skirt current methods of blocking automated calls. Through government grants, incentives are being offered for technology that will help stay a step ahead of the bad guys. Two people will share a $50,000 prize from the U.S. Federal Trade Commission (FTC) for the best idea to block illegal robocalls from reaching the owners of mobile and wired phones. The FTC opened the Robocall Challenge in Challenge.gov in late 2012, and in three months, received nearly 800 proposals. Serdar Danis and Aaron Foss will each receive a $25,000 government grant award for their Robocall Challenge proposals, both of which focus on intercepting and filtering out illegal prerecorded calls using technology to blacklist robocaller phone numbers and to whitelist numbers from wanted callers. Both proposals would filter out unapproved robocallers using a CAPTCHA-style test to prevent illegal calls from ringing through to a user, the FTC said Tuesday. The FTC encourages private industry to take inspiration from the top proposals in the contest and move forward with new products to protect consumers from robocalls, said Charles Harwood, acting director of FTC’s Bureau of Consumer Protection. Danis’ proposal, titled “Robocall Filtering System and Device with Autonomous Blacklisting, Whitelisting, Graylisting and Caller ID Spoof Detection,” would analyze and block robocalls using software that could be implemented as a mobile app, an electronic device in a user’s home, or a feature of a provider’s telephone service. Foss’ proposal, called “Nomorobo,” is cloud-based and would use so-called simultaneous ringing, which allows incoming calls to be routed to a second telephone line. This second line would identify and hang up on illegal robocalls before they could ring through to the user. If you’d like to take a closer look at the proposals in the contest, they’re available for viewing in a Challenge.gov submissions gallery. This article is amended from a piece that originally appeared in Computerworld.